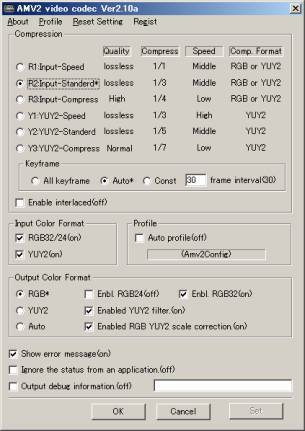 This software is high-speed lossless and lossy video codec for windows. Optimized Intel(R) and AMD(R) processor. Multi threading and many CPUs support. Use PayPal. When the trial mode, AMV2 also "watermarks" the video. 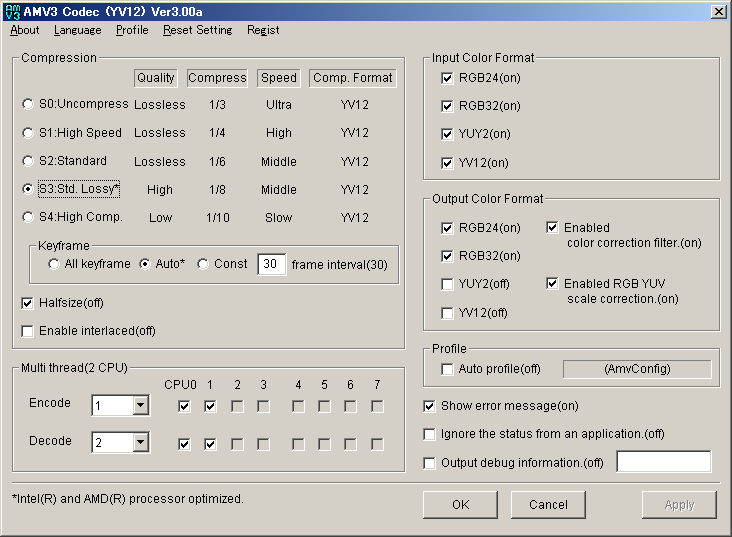 Fixed crash when input UYVY,HDYC of trial mode.